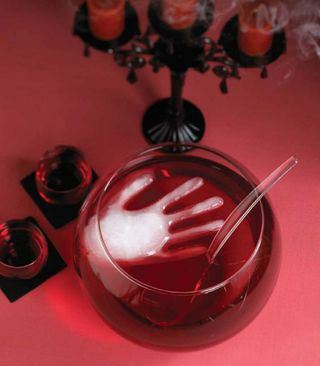 Having a little Halloween fun? 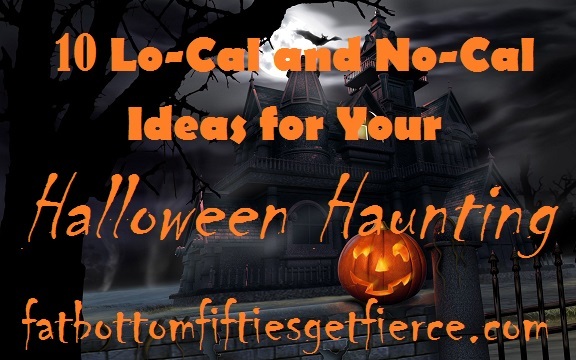 Leave the bags of sugary sweets for the goblins and check out these 10 No-Cal and Lo-Cal tricks and treats for your Halloween Haunt! 1. Let’s start things out with a smile – a witches smile! 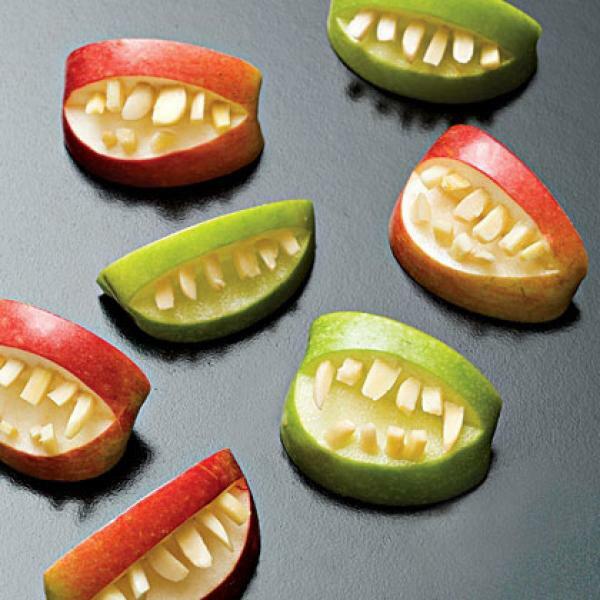 Apple slices and almond slivers make a bewitching snack! 2. Pack a punch. Both punching hand and punch included! The recipe for fruit juice and ginger ale concoction can be found HERE. Substitute diet ginger ale or sparkling water for the regular soda to reduce calories further. 3. 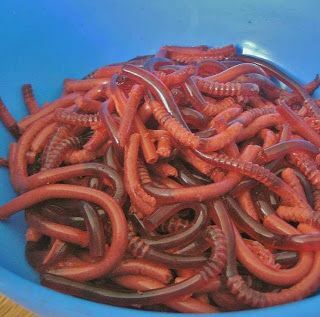 Jello worms. Remember the old Jello diddy: “Watch them wiggle, watch them jiggle . . . “? NOW you can add some squiggle to the wiggle and the jiggle! For how-tos, click HERE. 4. Mummy cups. 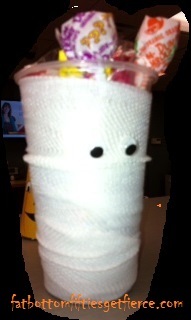 Just wrap a regular plastic cup with overlapping white self-adhesive bandage and glue on a couple of googly eyes. If we were talking about candy – which we’re not – I would mention that I also saw a candy bar wrapped up this way to great effect! 6. Spider eggs. Who knew olives could be so versatile?! 7. More mummies. Wrap a turkey dog or hot dog of your choice with crescent roll strips (there’s a low-fat option!) – bake up and dot on some mustard eyes. You can either plate them or use a wooden skewer to stand them up in your centerpiece. 8. 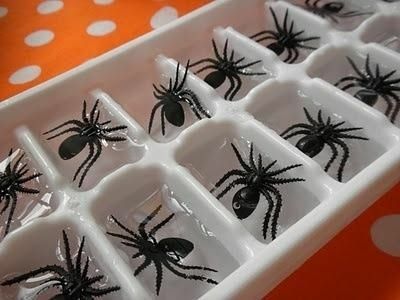 Spider ice. 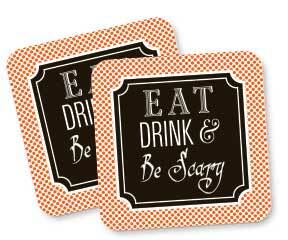 You can find these creepy-crawlers at the dollar store to give your your beverages a little personality! 9. 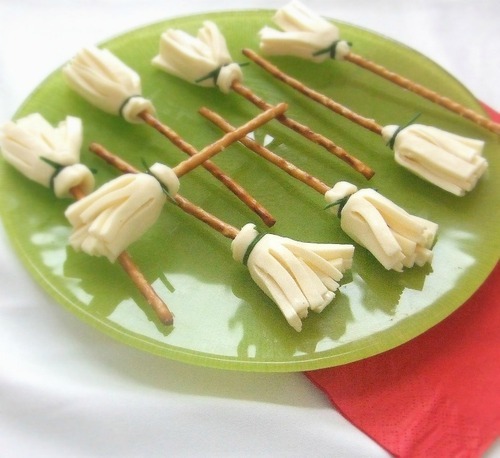 Edible Brooms. A little string cheese, small pretzels and some chive ties come together for some protein with crunch. For the super easy how-to, click HERE.